Welcome! Nice, that you visit my site. Have a look around! You may find some useful informations about my Joomla extensions and add-ons. need to create charts with minimal effort? want to have informative tooltips within articles? are looking for another visitor counter? 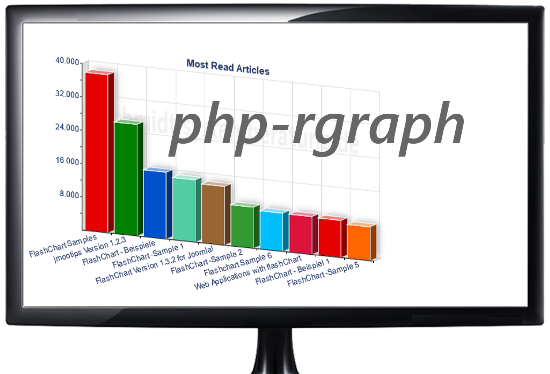 php-rgraph is based on the popular charting API. RGraph. 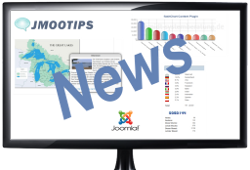 It incredibly eases creation of charts within your Joomla articles. 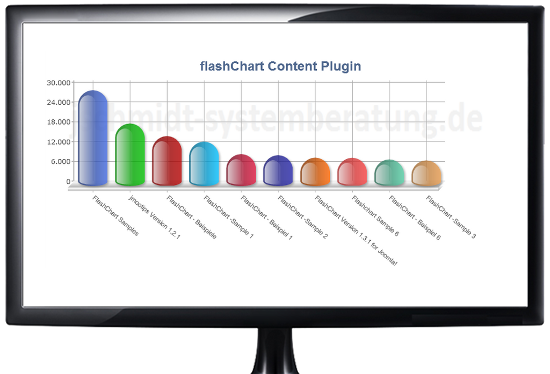 FlashChart Version 1.3.3 for Joomla! You can use FlashChart to generate several types of charts, i.e. line, bar, and pie charts in 2D or 3D. For each chart type you may specify attributes such as size, colors, and labels, and much more. With this plugin, you will be able to create attractive charts within Joomla articles with very little effort. 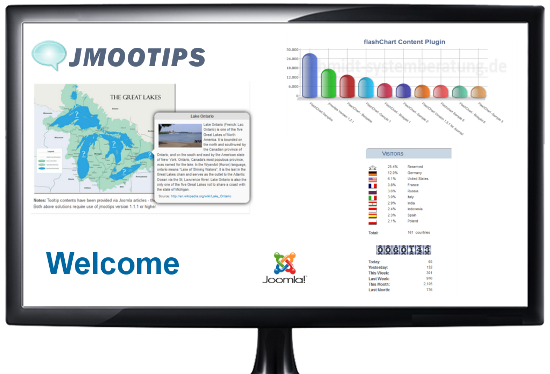 Joomla Plugin jmootips may help to design Joomla articles and their informations to be more attractive and informative. With this plugin you are able to deploy tooltips very easily and fill tooltip content from various sources. Additionally you may control position and layout of tooltips almost without any programming skills. Do you like my visitor counter? 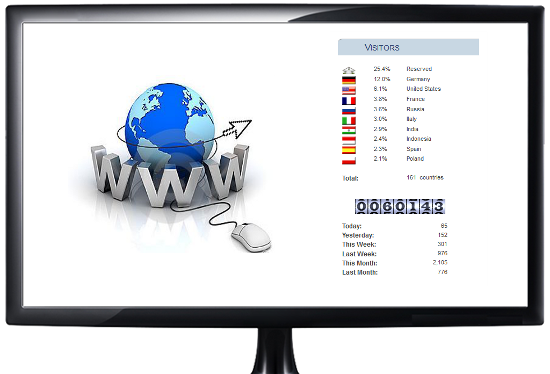 This counter is a Joomla extension which not only counts your site's visitors but counts their countries as well. jsvisit is easy to install and to configure. The jsvisit Module provides 10 different Layouts for counters. These layouts may be customized or extended with own styling information for counters. Also I encourage you to visit RGraph's home, to see the oustanding work the developers are doing and have done. All my Joomla extension have been improved or have been added new or improved functions. Of course detected software bugs have been removed. In addition to that I've cleaned HTML-markups to adhere to HTML5 standards in all of my extensions. The interfaces to Joomla3 and Bootstrap have been improved and compatibility issues have been removed. All my extension have been updated in order to be run with PHP Version 7.
jmootips Release 1.2.1 introduces new parameter "width" in order to be able to set width of tip without coding CSS- or HTML-tags. Also new in this Realease is usage of last level (3.3.1) of bootstrap framework. Behaviour of tips using parameter "sticky" and bootstrap has been changed. Now tips will stay open until mouse pointer hovers out tip (not target). flashChart Release 1.3.1/1.3.2 Two new options "target_line" and "target_linecolor" have beeen added. "target_line" lets you display a line for a given value within coordinate system in addition to the grid of your chart. "target_linecolor" sets the color for this target line. If you omit this parameter, "target_linecolor" defaults to "grid_color". Build Level 1.3.1.2 now supports logarithmic scaling of y-axis with paramerter "log_scaley". Also with this build content of tooltips has been made more consistant when parameter "x_label_truncate" is used. jsvisit counter 1.2.0 The webservice interface for assigning visitors to their countries has been improved and not anymore available backup-server from "freegeoip.net" has been replaced by new service at geoip.nekudo.com. jsvisit counter 2.0.0 This Version exploits Joomla's core Ajax-interface (introduced with Joomla 3.2) to count visitors. The previously used component to implement this functionality is not any more used.